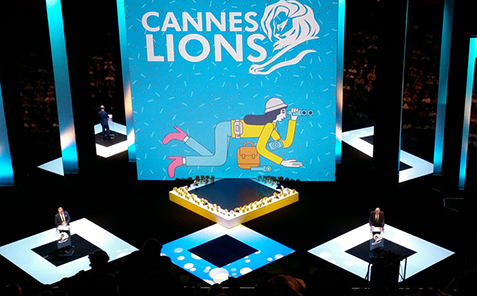 The Cannes Lions International Festival of Creativity is the world’s biggest celebration of creativity in communications. It is the world’s most prestigious international advertising awards festival with more than 35,000 entries from all over the world which are showcased and judged at the Festival. Winners receive the highly coveted Lion, presented at four award ceremonies held throughout the week. The Festival is also the only truly global meeting place for advertisers, advertising and communication professionals. Over 8,000 delegates from 92 countries attend seven days of workshops, exhibitions, screenings, master classes and high-profile seminars by industry leaders such as Sir Martin Sorrell, Bob Greenberg, Maurice Lévy, David Droga, Mark Tutssel and ThamKhaiMeng, as well as people like Dr Edward de Bono, Sir Ken Robinson, Tim Armstrong, Jonah Lehrer, Jamie Lidell and Malcolm Gladwell.